What to do after an 0-6 day betting sports??? 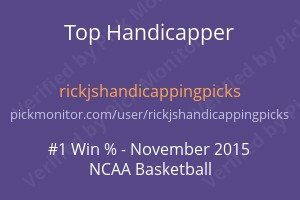 Betting is 58% on the road dog with the line moving from -10.5+106 to -10.5 +103. My models point to Seattle and my variables strongly point to San Fran. Public betting slightly favors Seattle. I would be considering San Fran if the public betting were on Seattle. But the public is all over San Fran which is a red flag the way I handicap. Whenever you have the public breaking with its favorite bias you have to be wary of the dog:) That is why I stayed away from the game completely in the Hilton contest. I am passing on the game and if your considering going with the herd on San Fran you might want to reconsider!!! Good Luck today which ever side you take!!! Its been awhile since I wrote about bad days. I was hoping never to have to discuss them again! But when your gambling every day like we are this is what you sign up for. There is always the bad with the good if your a gambler. In more intelligent terms variance can strike at any time to the downside or the upside. You should be mentally prepared for both. Myself I go to bed early so I was not tortured by the last quarter of the California game. But it was a fitting end to a miserable day. We got the full treatment. So when the smoke cleared yesterday we had 6 one unit plays and went 0-6. Five of the plays were in College football, California, San Jose State, North Carolina, Georgia and S. Florida. In MLB we had Tampa Bay a loser. If the day had you on tilt California would have been a back breaker. I have plenty of those over the years until I figured out how to wager and approach these games. So what do you do after an 0-6 day in sports betting. First you take stock to see what your metal condition is. If your upset, mad or steaming. Take a week off or even 2 weeks. This is supposed to be a fun endeavor through wins and loses. If after a week or two your still upset you need more time off to evaluate whether this is for you. There are very few people that are mentally equipped to handle the ups and downs of gambling every day. Its not for everyone. Those of you that have been with me from the start of MLB know exactly what I am talking about. And you are being rewarded with +8 units in MLB so far. A tough fought +8 units. Myself days like yesterday do not faze me one bit although I do feel a tinge that people that are following me have lost money. For myself its a blip in the grand scheme of things. 0-6 on the scale of bad runs does not even get past the bottom 20% of what bad runs are. Try 0-15 with AA23 in Omaha 8 or try being on the other side of a Fezzik streak where he won the Hilton NFL Contest 2 years in a row. Talk about variance. I do not even want to think what the opposite side of that would be in gambling! OK enough of this. Time to move on to the NFL today. 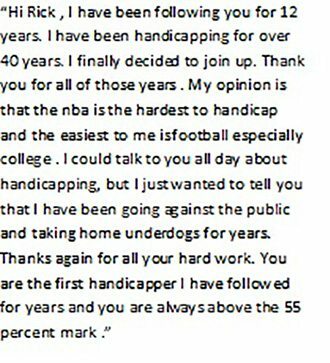 Let me start by saying this week in the NFL was not an easy one for my handicapping. Nothing, not one game stood out as clear cut play. So keep that in mind this week. Last week the Hilton Top 5 went winless!! !